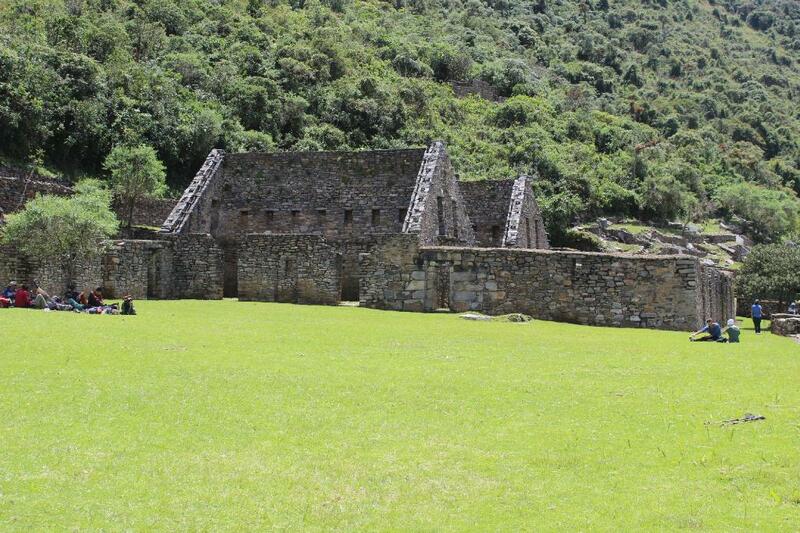 Choquequirao (Quechua chuqi metal, every kind of precious metal/gold (<Aymara), k’iraw crib, cot, also spelled Choqek’iraw) is an Incan site in south Peru, similar in structure and architecture to Machu Picchu. The ruins are buildings and terraces at levels above and below Sunch’u Pata, the truncated hill top. The hilltop was anciently leveled and ringed with stones to create a 30 by 50 m platform. 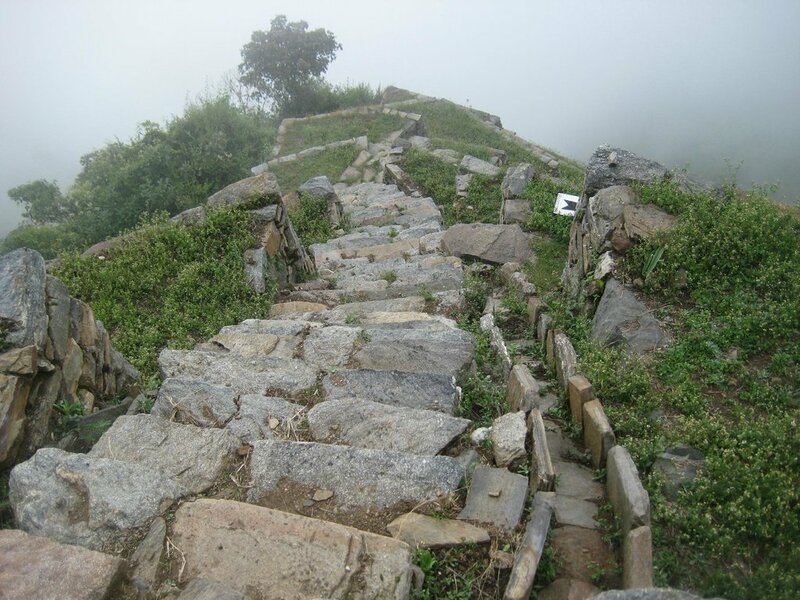 Choquequirao (3050 m) is in the spurs of the Willkapampa mountain range in the La Convención Province of the Cusco Region above the valley of river Apurímac. The complex is 1800 hectares, of which 30–40% is excavated. 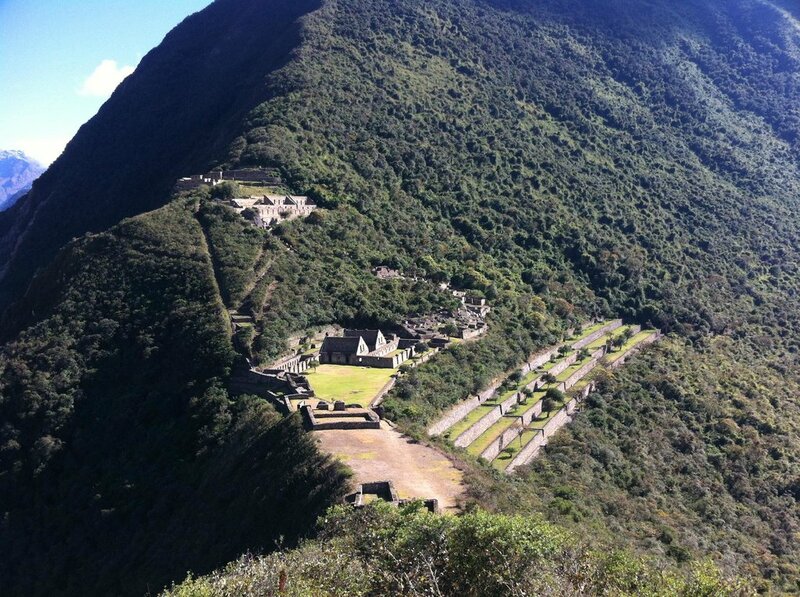 The site is reached by a two-day hike from outside Cusco. 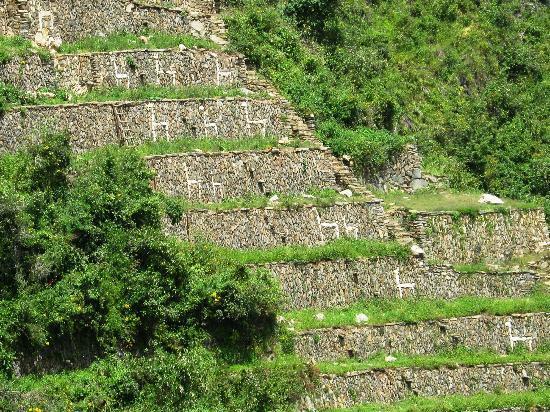 According to the Peruvian Tourism Office, “Choquequirao was probably one of the entrance check points to the Vilcabamba, and also an administrative hub serving political, social and economic functions. Its urban design has followed the symbolic patterns of the imperial capital, with ritual places dedicated to Inti (the Incan sun god) and the ancestors, to the earth, water and other divinities, with mansions for administrators and houses for artisans, warehouses, large dormitories or kallankas and farming terraces belonging to the Inca or the local people. Spreading over 700 meters, the ceremonial area drops as much as 65 meters from the elevated areas to the main square.” The city also played an important role as a link between the Amazon Jungle and the city of Cusco.